I tried a couple of different booking sites but ended up preferring my old favorite, Airbnb. I have heard a lot of advertising for Tripping.com recently, which compares results from many different vacation home sites, but found Airbnb’s interface to be much easier to use and was able to find better homes at lower prices. 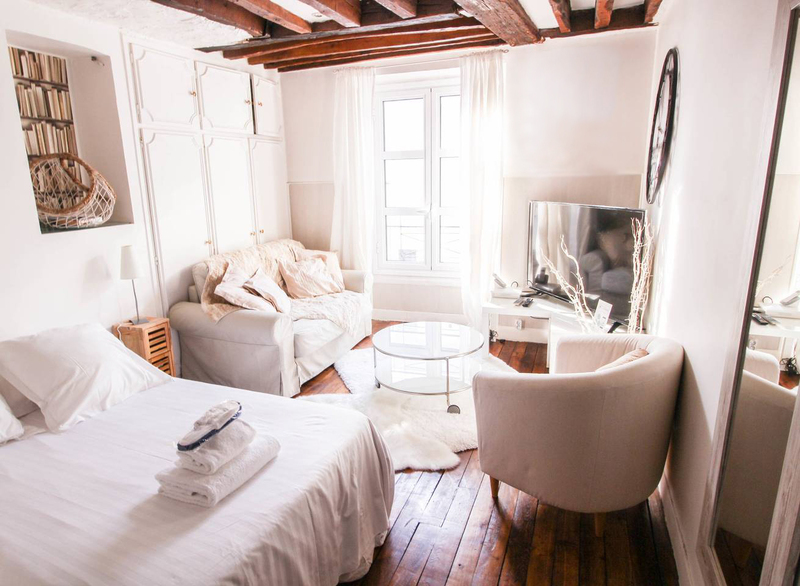 I have used VRBO in the States but in Paris and Amsterdam, Airbnb had better and more plentiful results. 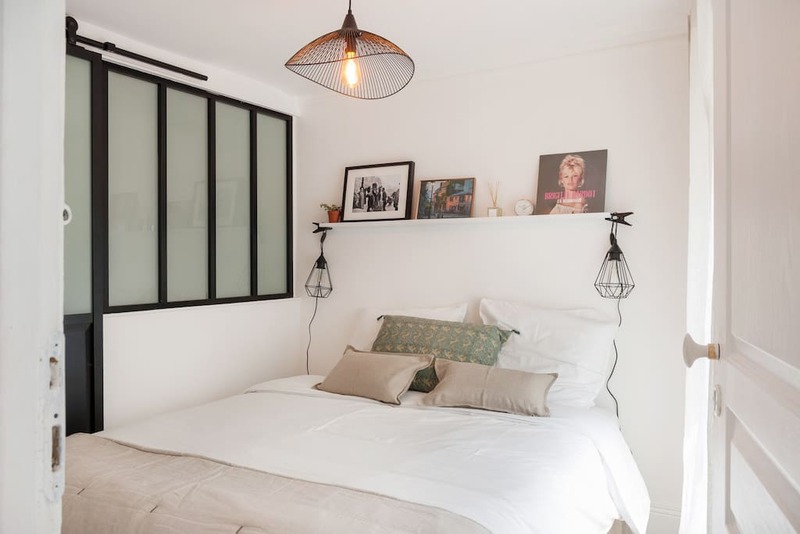 Paris has many beautiful hotels, but with most starting in the $200-$300 a night range (and you can go much, much higher) an apartment or room is a great way to get a gorgeous space at a really remarkable price. This Parisian oasis in the city center stopped me in my browsing tracks! I know we’re not supposed to say it out loud, but how amazing would your Instagrams be in the apartment? 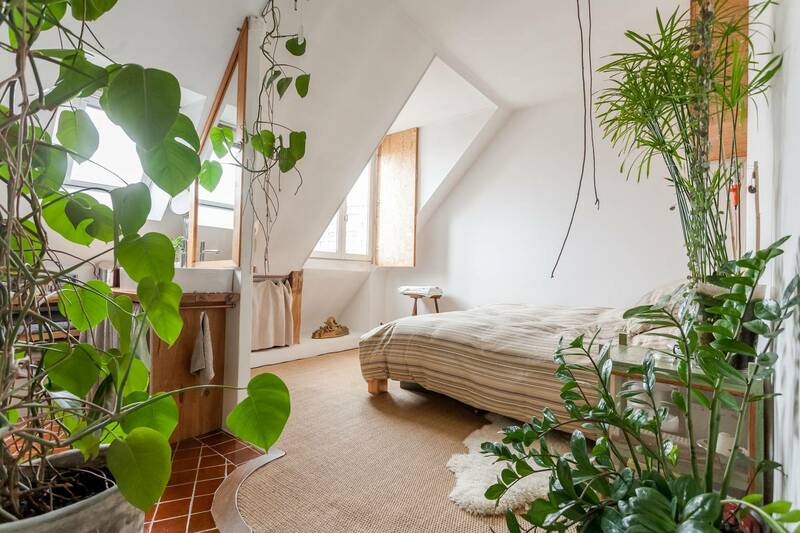 Real talk, the bathroom and kitchen aren’t my favorite, but this sunny, garden of a bedroom (and that jute floor!) makes this flat very tempting. This apartment. The paneling! The Herringbone floor! That vert trèfle door! High ceilings, natural light and classic architectural detail mixed with the playful modern decor is so effortless, and allow me to shock you with the price… $118 a night! 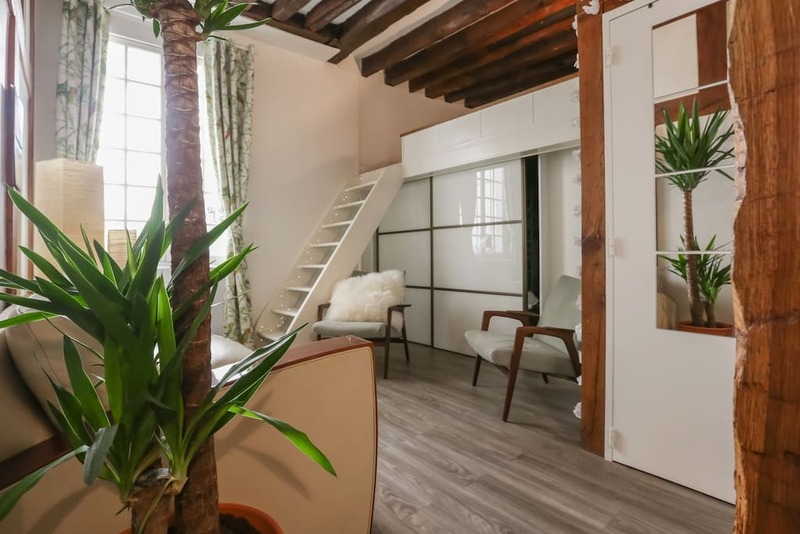 What could be more romantic than stepping out of the hustle and bustle and into this dreamy studio that opens on to your own private Parisian garden? Answer: nothing. Linen, check. The perfect blush paint, check. Wine and cheese on the deck, check. 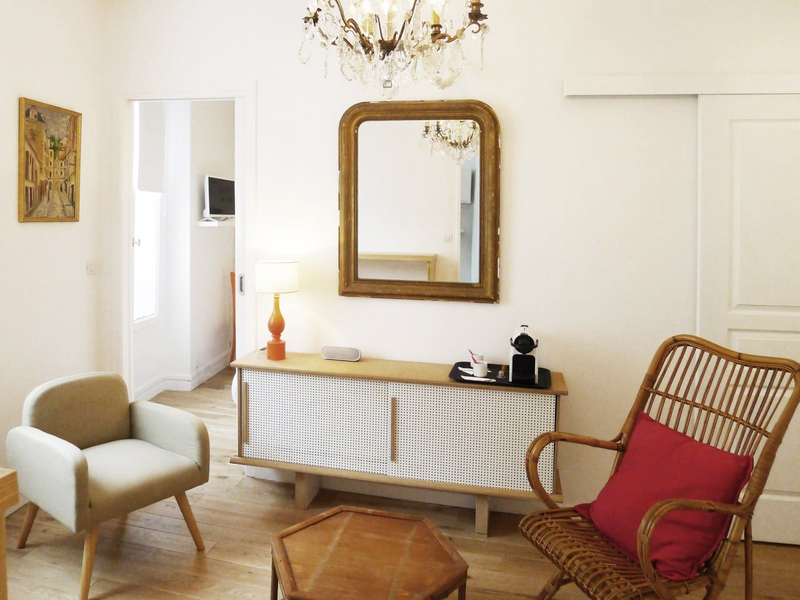 Le Marais is my favorite neighborhood to stay in Paris. It’s full of tourists and locals there to window shop the narrow, cobbled streets, grab a buckwheat crepe or falafel, and enjoy the convenience of being just a few Metro stops from most museums and attractions. 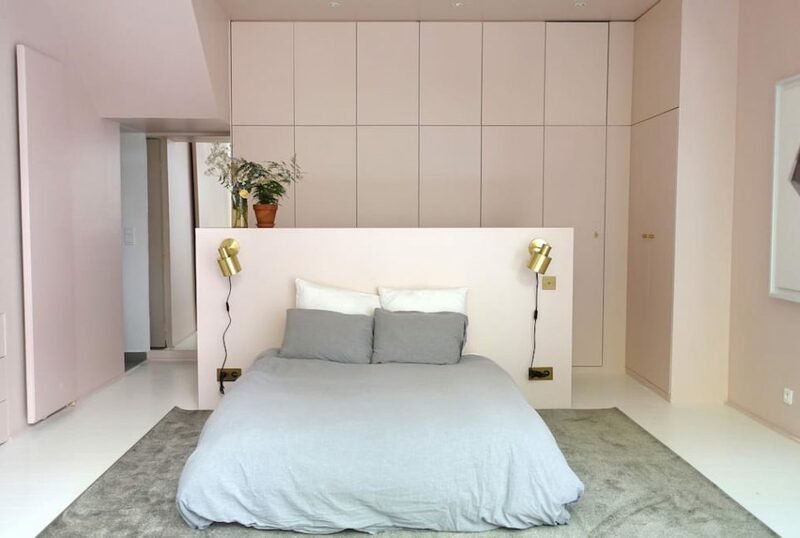 I love how unique and personal this apartment feels, if living like a Parisian is your goal, this is the one. This Montmartre apartment exemplifies effortless Parisian style, well-worn oak floors, a whitewashed stone wall, and rattan. I love the mix of vintage modern furnishings with the warm architectural authenticity. An updated take on classic that is ever evolving in one of Paris’ most historic neighborhoods. I love the bright, airy vibe of this lofted apartment. 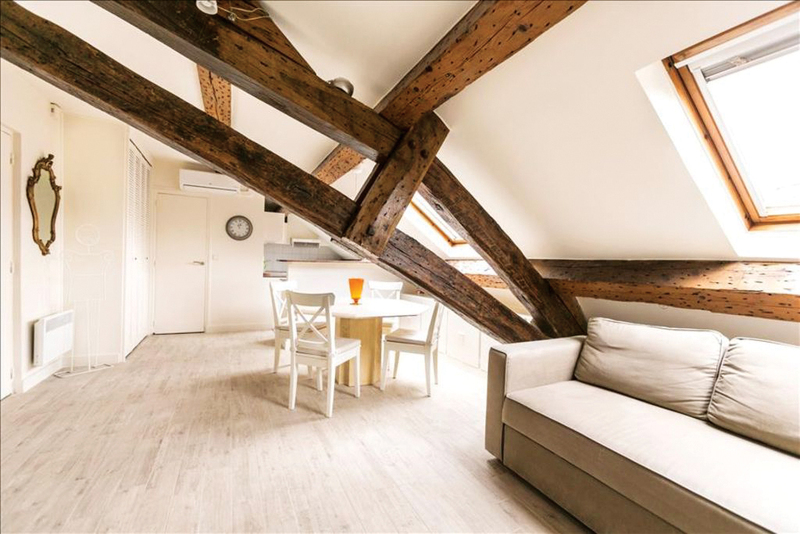 We ended up choosing this apartment for our stay based on the gorgeous interior (the beams! the plants! ), the location in the neighborhood Rue Montorgueil, described as off the beaten track and cheery and pedestrian friendly in this article, and the washing machine. Our vacation coincides with a ten day work trip, so a little laundry refresh is a must. Wish us luck! 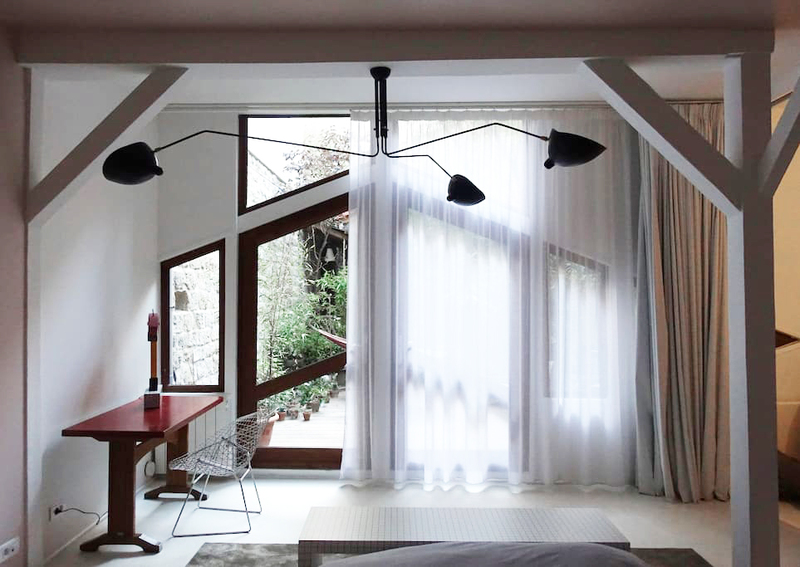 Can you imagine how cozy and romantic this sun-drenched attic apartment would be for a long weekend? Sure, it looks a little tight, but you’re there to experience the city, not stay in your room. 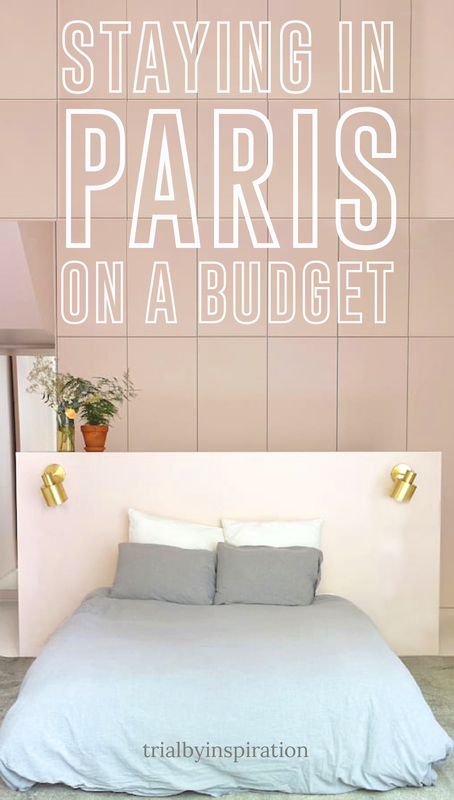 These are just a few of the most stunning spaces I came across in my hunt for the perfect pied-à-terre, but here are a few more charming spots, all for under $150 a night. OMG! I want to go on vacation with you! Awesome places your found..and thank you sooo much for comparing Airbnb, VRBO with the rest of the new players, I’ve been wondering how they all shake out in Europe. well that sounds amazing! I wish the neighborhood was no object, it would really open up even more fab. possibilities. xo!